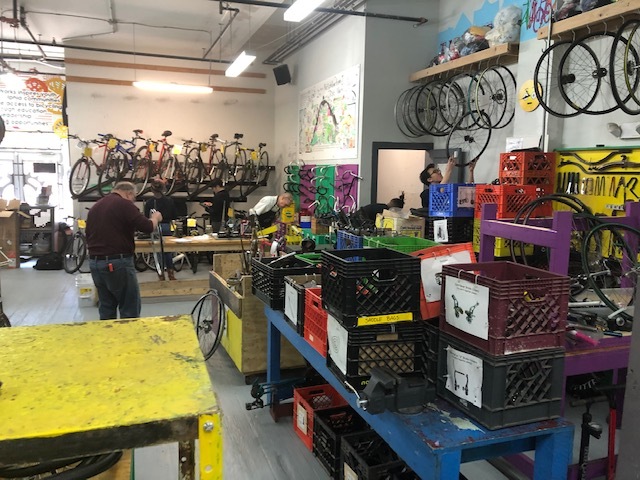 Volunteering with Neighborhood Bike Works is a unique way to make a lasting difference in the lives of young (and older) people in West Philadelphia. There are many ways to work with our organization, including one-time events like Bicycle Safety Checks or Valet Bike Parking, in addition to ongoing volunteering with youth classes or our Adult DIY Bike Repair Sessions - known as our Bike Church program. Depending on the program, you may or may not need to own a bike or know anything about bike repair; what you always need is dedication, enthusiasm, and a willingness to get a little greasy! If you would like to volunteer at Neighborhood Bike Works, please get in touch! Please fill out this quick form to let us know what interests and skills you have. We'll be sure to follow up with everyone who submits the form. We'll shower you with appreciation and connect you to a community of civicly minded cyclists. Approximately 100 people volunteer with NBW annually. We make an effort to get together to share food, stories, and bike routes. Volunteers may utilize our shop space to work on their own bicycles and projects when it is not otherwise occupied. Dedicated volunteers can earn a "volunteer discount" on bike parts at NBW. Volunteers are critical to the mission and success of Neighborhood Bike Works. 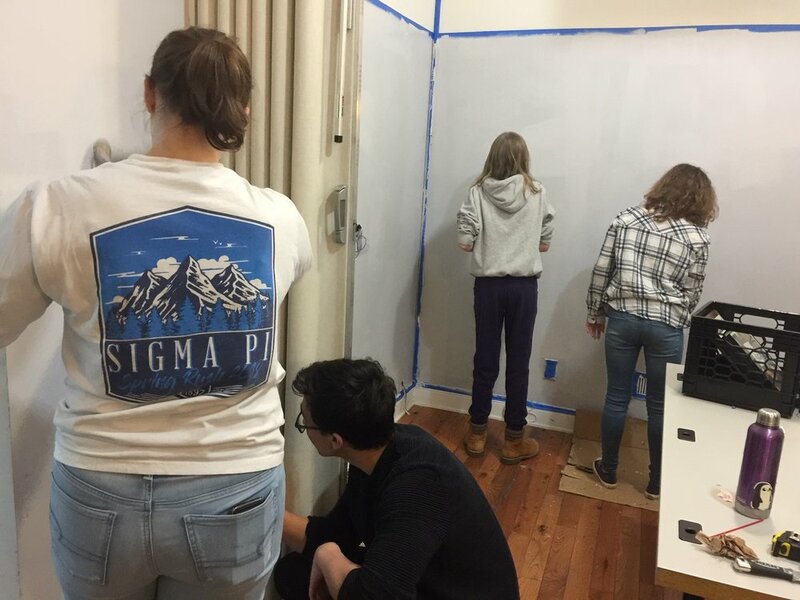 In order to ensure the safety and positive experience of our students, we require volunteers who work directly with our youth to pass background clearances. Pennsylvania Access to Criminal History (PATCH) clearance. Free for volunteers. Online form. A Child Abuse Clearance issued by the Department of Public Welfare. Free for volunteers. Online form. Any volunteer that has not resided in PA continuously for the last 10 years will need to obtain an additional clearance from the FBI via a fingerprint check. $27.50 mandatory fee. These screenings are mandatory for all volunteers with youth programs. Volunteers may not begin service until completed clearances are on file with Neighborhood Bike Works. Clearances remain valid for 60 months. Anyone who already has these screenings will need to be re-screened within 60 months of the most recent screening. Due to the large number of volunteers at Neighborhood Bike Works, we cannot cover the fees for each and every volunteer. We respectfully request that volunteers cover the cost of these clearances independently. However, if the cost of these screenings is prohibitive or a hardship, please contact the Outreach Coordinator ASAP to request support. We strive to make volunteer service accessible to all. Organize a Bike Drive: Wrangling bikes with friends, neighbors, co-workers, and others is an awesome to contribute to Neighborhood Bike Works. We love it when groups activate their networks and complete bike drives on behalf of NBW. Please get in touch if you are interested in getting a group you belong to engaged. We made a How to Organize a Bike Drive guide to make it easier. Attend a Work Day: We also host Shape up the Shop Days, and other events where groups can support us. We usually host these clean up days on the first Saturday of the month. Unfortunately, with such a busy program schedule and so many constraints on NBW's staff time we aren't able to organize these every month so let us know if you are interested in coming. We always announce these volunteer days in our Monthly e-newsletter, the Bike Street Journal. Sign up to hear more about volunteer opportunities and stories of our work.